This is an enjoyable series of fantasy books best suitable for younger readers. Dragonlance Chronicles is an Epic Fantasy in style and penned from the third-person perspective. The characters are somewhat one-dimensional but well written with simplistic and easy to read form. The great success of Dragonlance is the secret behind all the greatest fantasy series: there is a different recurrent saga, there is magic, someone, and action for everyone to note. If you ask a reader of Dragonlance who their favorite character is, they won’t be able to pick out one. 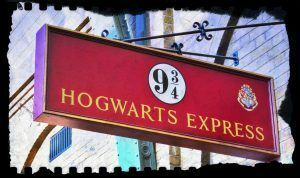 Today, teenagers may say adults who haven’t read Harry Potter do not understand magic. They fail to realize that every generation has walked on the sands of magic. Subsequently, all those who love Harry Potter books will surely love Dragonlance. Or also, you can check these other “Books like Harry Potter suggestions” post. These novels set in the world of Krynn, a place where humans coexist with magic and monsters. In this story, Krynn no longer has the favour of the ancient gods centuries ago, a period known as the Cataclysm. The world has become a dangerous place, full of enemies and dangers. It tells the story of a band of adventurers who reunite after five years separated, having a new journey together after discovering a powerful staff with healing powers, an ability long time no seen since the Cataclysm. The cadre of companions is surrounded by obscure, fully fleshed characters. While King Lorac is likened to Shakespeare’s King Lear in madness. Lord Soth’s story of requited love and madness is found in Ann Radcliffe’s gothic tales. Beren, the immortal man, is seen searching for his sister who keeps the green emerald. Also seen is Fistandantilus, Par-Salian, Elistan, Bupu, Crysania, Ariakis, Gilthanas, and many more. There is someone for every reader to latch on to, sympathize with, love or hate. The action is progressive, raging across the mountains, lands to the seas, and the skies. There are castles and towns in trees, taverns and libraries, great cities and tiny villages. There is also a Shrove where the dead reaches out, the magical tests; the Abyss, and there are dragons. No matter what, every great fantasy needs a dragon (saving David Eddings). The authors tried their best to be creatively elaborate in these books, that you identify right the good, bad and the ugly without difficulty. There is adequate light-heartedness that abounds in this story, and the fantasy genre is evident in these series. What will you like about Dragonlance? The authors of Dragonlance Chronicles did an exceptional job, creating an entertaining, and reader-friendly series that enthralls and keeps readers engrossed. find solace in the overly chivalrous Sturm. There is the mysticism in Riverwind and Goldmoon, the bitter, powerful mage Raistlin Majere or his athletic, gladiatorial twin, Cameron. You will also love the prankish Kender, Tasslehoff, the Fellowship racing from Draconians crashing up Tika’s Inn in Solace and discovering themselves clashing with Queen Takhisis’ blue, red, green, black dragons. Again, like in Star Wars, here we have a family doing all they can to combat evil and restore the good. According to Raistlin, “Hope is the denial of reality,” but in the end, it is the hope that is made evident. In this case, the proper reading order is the published order. This is at the same time the chronological order. Equivalent to Star Wars, the saga of the first trilogy takes us through the initial triumph seen in the Dragons of Autumn Twilight, down to gloom that loom when evil rules in Dragons of Winter Night, to final conquest in Dragons of Spring Dawning. As the years go by, over 200 novels (such a number uh?) are already published with the Dragonlance universe as a setting. Such as the Legends, the Chronicles, The Dark Disciple, the War of Souls and a lot more. The Dragonlance series was more than six (6) books; the second trilogy, ‘Time of the Twins’, ‘War of the Twins’, and ‘Test of the Twins’ are cleverly merged time journey into an ancient fantasy. Two futures appear; one where Raistlin becomes a God and another where he recognizes that his successes are futile, and his inner struggles ultimately let ‘good’ win. If you are willing to read Dragonlance series as a whole and you are wondering which is the reading order for this series, don’t worry, my How to Read Dragonlance series post will come soon. Even so, if you want to watch the movie you can find it on DVD for less than 5$. Margaret Edith Weis is a terrific fantasy and science-fiction writer of dozens of novels and short stories. Fondly called Margaret Weis, called is one of the original creators of the Dragonlance game world, alongside Tracy Hickman and others. Tracy Raye Hickman is also an American fantasy author who has written or co-authored dozens of novels with Dragonlance being one of his widely accepted work. The Companions written by Tina Daniell and Douglas Niles’ Crown and the Sword are among the books there have striking similarities with the Dragonlance saga series. 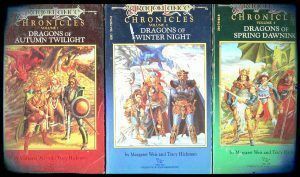 Hope you enjoyed this article and will be willing to start reading The Dragonlance Chronicles. Keep reading! 2 Comments on "Introducing Dragonlance Chronicles"
I have had the Dragonlance series on my TBR for ages, but have never gotten around to reading them. Looks like I need to pick them up soon! You definitely should! 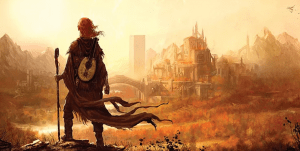 great story and compelling characters, all set in the D&D World… too much!